KETO//OS® UNLEASHED Blue Ocean Snow Cones are a light and refreshing way to pump up your summer. Fun Shark Fact: The Greenland shark (Somniosus microcephalus) is the most cold water adaptable shark in the sea. They are found in the Arctic and Northern Atlantic Seas in water between 33º to 54º degrees fahrenheit. These UNLEASHED Snow Cones ARE EVEN COLDER! 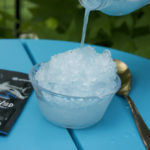 The movie, Snow Sharks, may have left a lot to be desired, but we assure you, these UNLEASHED Snow Cones are the REAL deal and will leave you satisfied and pumped to conquer your hot summer days! Check out the recipe below and get ready to chill like those like the Greenland Shark and throw down like the Snow Sharks! 4. Pour blue ocean over shaved ice and enjoy! Here at Prüvit, we are always looking for different ways to Prüvit forward! 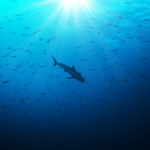 Let’s pursue BETTER and help conserve the Blue Ocean these majestic creatures live in! 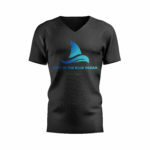 All proceeds from sales of our ‘Stay in the Blue Ocean’ shirt will go to Ocean Conversation! Click the image below to get yours!